Biographical Information: George was born on 15 August 1919 in East Chevington, Northumberland to Joseph and Mary Pearson. He was the husband of Mary Pearson and they lived at 39 Campbell Street, Dunfermline, Fife, Scotland. Together, they had one son, also named George. George was in the Navy for three years and had served aboard H.M.S. Frobisher prior to joining in Hood. 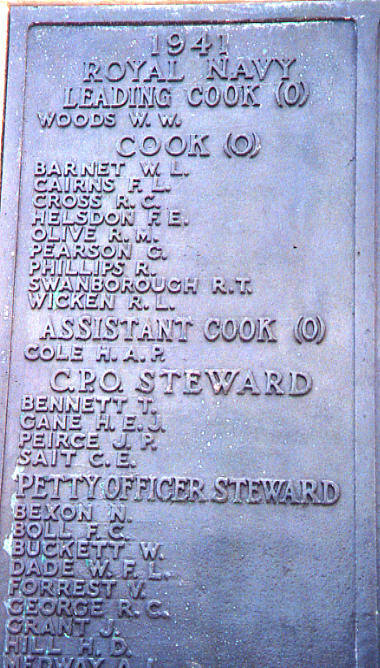 He was serving as a Leading Officers Cook (Temporary) and was 21 years old at the time of his loss. We have no additional information.